As part of our new series, we will be interviewing great event planners to give our readers more insight into the life of a planner. Today’s interview is with Ivette Mancha who has her own planning company and also manages events at a popular South Beach venue. 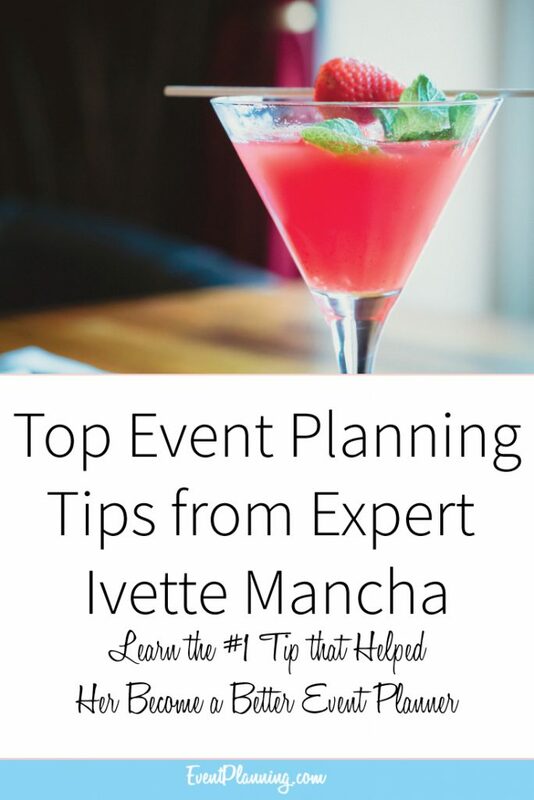 Ivette’s company is called eventsbyi where she offers her readers some of the most helpful planning tips around. Lets get started with the interview. Max: When did you realize you wanted to become an event planner, and what drew you toward the industry? Ivette: I think I realized I wanted to become an event planner on my 14th birthday. I hosted a party at my parent’s house and cleared the living room of furniture to create a dance floor. I remember thinking how ugly our living room curtain was, so I grabbed some blue and yellow tissue paper and created some funky block art pattern by covering the entire wall with tissue. Since then, birthdays and holidays were simply excuses to plan themed parties, host movie nights and dinner parties, and max out my credit card at Party City. I have such a need to play hostess, that it is only natural that I found myself in the event industry. It didn’t hurt that my sister (who is seriously awesome at interior designing) and mother (a talented seamstress) are such brilliant creative types as well. So in a way, I guess you can also say it runs in the family! Max: It looks like you’ve been working at a South Beach hotel for almost four years now. I’m sure the experience at a popular, high end venue has been amazing. Can you describe what your current day-to-day is like? Ivette: Working in the convention center of a hotel has been immeasurably beneficial to my career. I would highly recommend it to someone starting out in the industry. Every day I take home a learned lesson to apply at eventsbyi. The volume of business, the long hours, and the variety of shows and events we put on every day has allowed me to experience every type of event under the sun. I’ve seen it all from medical conferences to weddings to trade shows to press junkets. The day-to-day is ever changing and hard to explain, but expect to spend a lot of time on your feet! It is often a balancing act between our client’s interests, the hotel’s interests, and the third party players so the position will teach you a lot about compromising and choosing your battles wisely while still maintaining positive relationships with all involved. It’s been interesting to say the least! Max: You also have your own company called eventsbyi. One thing that really stands out to me is the high quality, free tips you give your readers on your blog. It’s great and shows you really know what you’re doing. What are your main goals for the company this year? Ivette: The blog is an addition we made this year. Personally, I started out as such a “do-it-yourselfer,” so it seemed logical that when I became an event professional, I would share my wealth of knowledge with all who wanted to hear. You’re not the first to mention how much information I share for free, in fact my boyfriend thinks I’m crazy to reveal all my secrets! But it has really helped my company build credibility among my readers. And if there is one thing my clients can attest to, it is how important it to me to build trusting relationships. Attracting more readers and expanding the blog are main company goals in 2012. In the coming months, you will see more “How To” videos, DIY projects, reviews of events we’ve attended or planned, giveaways from some of our event partners, and anything else our readers want to see. Max: What do you think the most difficult thing is about being an event planner? 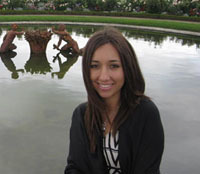 Ivette: Planning an event is a lot more complicated than the general public tends to think. But the most difficult part is not choosing the menu, applying for permits, getting your floor plan approved by a fire marshall, or managing the budget. The most difficult part of being an event planner is giving your client what he or she wants. It could be that your client has no idea what he or she wants, or maybe he or she knows exactly what they want, but have a hard time explaining it to you. It really takes a special skill to listen and bring to light what your client’s dream event looks like. Unfortunately, I see so many planners out there that plan an event the way they like it, not taking into consideration what their client’s wants are. But once you’ve discovered what that dream event looks like, the rest is just paperwork. Max: What is one event or accomplishment you are most proud of your work on? And why? Max: How do you think your company can stand out from the competition? Ivette: If I have to mention one thing that sets us apart from the competition, it has to be reliability. I like to think my company is in the business of selling “peace of mind” more than just providing event planning services. If you’ve ever planned an event yourself, you can relate to how stressful and hectic it can get, especially on the day of. At eventsbyi not only do we take that stress away from you, but you can trust that we will do it expertly and as planned. I promise no e-mail goes unanswered, no phone call goes unreturned, and no detail is missed! We work hard to earn your trust, and by the end of the planning process, you won’t need to think twice about what we’ve promised you, because you KNOW we will deliver! Max: If you had to give one piece of advice to someone who wants to become an event planner but has no experience at all, where would you tell them to start? Ivette: There are many opportunities in the event world, but it all depends on your market and where you are located when you are deciding where to start. Some parts of the world, like New York City, London, and D.C., are hubs for mega third party meeting and event planning companies. In other locations, most of the event jobs are found within companies and businesses, hotels and other venues, or event vendors. Are you the creative type who enjoys creating floral arrangements and producing visual elements? Then start with a decorating company. Are you the “techy” type who may enjoy producing shows? Then start with an audio visual company. Do you like the idea of event planning, but need something stable without a lot of travel? Consider a position at a Hotel or event venue in Banquets, Catering, or Convention Services. Decide who you are, consider your lifestyle, and find a position that matches your interests. And lastly, do not be afraid to start at the bottom. The event industry is ever changing and if you work hard you can rise to the top quickly. I started as an Administrative Assistant in Banquets and have twice been promoted to Management within 4 short years. Max: Thank you so much for taking the time to interview with us and help share your experiences with our readers. I really appreciate it! To read more of Ivette’s planning tips, be sure to check out her company blog. She really does an amazing job. Really cool interview! Thanks for the tips and opening upIvette! I just spent 10 min reading.. very helpful. Keep up the good work guys. Same here. Good 10 minute read for sure. @Ashley – video and pictures coming soon to my blog. Stay tuned! I love stories like this! Many of the things she says are so true. Hard work really does get you everywhere 🙂 Thanks eventplanning and ivette! This is amazing to know you can be successful with following your passion when coupled with hardwork.Thank u eventplanning.com and eventbyi for this great insight and encouragn starting small.